Corb7 International December 5, 2017 Newsletter | Corb7 International, Inc. 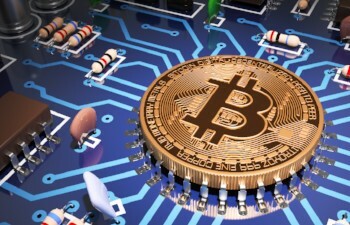 Feature: How is Bitcoin Mined? Acquisition Opportunities: Own 86-Year-Old Trust Company! 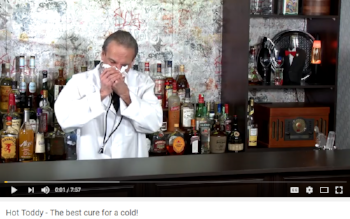 International Spirits & Cuisine: A Cure for the Common Cold! Digital currency – also known as cryptocurrency –is a type of tender available only in digital form and not in physical. The best-known digital currency is Bitcoin, which is mined online. 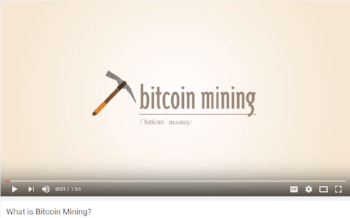 We thought it might be helpful to our readership to review a brief video on how this mining works. Since one Bitcoin currently equals almost $9,600 this currency is around to stay. 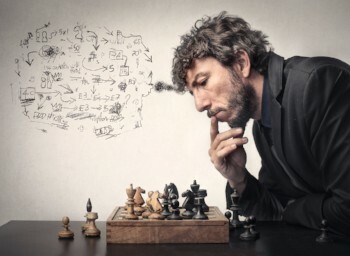 For any business owner or professional, the ability to quickly recall numbers, events or product specific knowledge provides a distinct competitive edge. 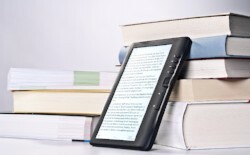 Well, we came across this educational site, which claims to help you do just that and thought it a good enough tool to bring to the attention of our readers. Developed by neuroscientists, Lumosity.com presents a series of games and exercises designed to improve your mental abilities. 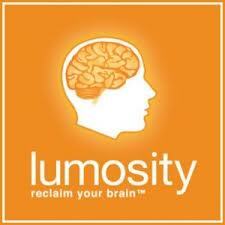 Lumosity claims to be based on the science of neuroplasticity which is the concept that the brain can change and alter itself given the right kinds of challenges. The site also provides you with a personalized training program which is designed to help define areas where you need improvement. Whether or not or not it really works – we will leave that for you to decide – is a subject open to much debate. We cannot help feeling, however, that this is an area that is just scratching the surface of what is bound to come in the next decade or so. Own an 86-Year-Old Trust Company! 33 page PowerPoint Presentation is Available! presentation reviewing the benefits of owning such an old financial institution. A new year marks a great time to embrace change. Many people do just that by making resolutions designed to improve their lives in the year and years ahead. Resolutions regarding personal health are annually among the most popular changes people hope to make at the dawn of a new year. In fact, a quick scan of annual lists citing the most popular resolutions found that pledges to eat healthier and exercise more can be found at or near the top of such lists. Though such lists might not have been compiled using the most scientific of methods, it’s no secret that getting healthier and looking better is a goal many people strive for upon the arrival of January 1. Unfortunately, a 2017 report from U.S. News & World Report suggested that 80 percent of resolutions fail, oftentimes as early as February. For those who don’t just want but need to get healthier, failure to live up to a resolution to exercise more can have potentially devastating consequences. If exercising more is a goal in the year ahead, the following are a few strategies to make that happen. · Exercise in the early morning. As the day progresses, unforeseen challenges or forgotten commitments have a way of devouring time initially earmarked for exercise. Exercise first thing in the morning before any commitments to work and family hijack the time you have committed to exercising. · Take on less responsibility. Professionals and parents often cite commitments to work and family as the primary reasons they aren’t getting enough exercise. While those are perfectly reasonable excuses to skip a workout, men and women who recognize the long-term benefits of routine exercise may be compelled to take on less responsibility at work while also making an effort to divvy up responsibilities at home more equitably. According to the U.S. Centers for Disease Control and Prevention, ongoing exercise can reduce risk for cardiovascular disease, type 2 diabetes, metabolic syndrome, and some cancers. The CDC also notes that routine exercise strengthens bones and muscles while improving mood. Taking on more responsibility at work might be great for your career, but that may prove a Pyrrhic victory if your long-term health is jeopardized. Parents can discuss with their spouse how to better share responsibilities at home so both moms and dads can get regular exercise. 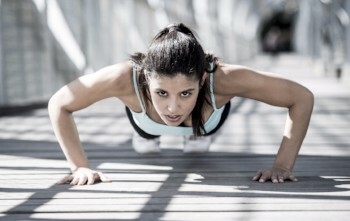 · Embrace more efficient exercise routines. Rather than working a single muscle group at a time, which can be both time-consuming and boring, men and women can adapt their workout routines to focus on multi-muscle exercises. Work with a personal trainer to make your workout as efficient as possible. · Schedule your routine each week. Each week is different, so while it may be ideal to establish a workout routine in which you exercise at the same time each day, that’s not always going to be possible. Failing to exercise on a day you had intended to workout can compromise your motivation to workout in the future, so sit down at the beginning of each week to examine your commitments for the days ahead and schedule times to exercise in the next seven days. This can keep you on track and help you avoid the disappointment of missing a workout because life got in the way. Finding time to exercise is not always so easy, but even the busiest men and women can likely still include workouts in their daily routines. 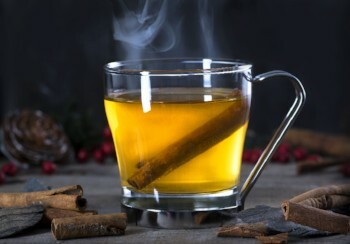 Why a Hot Toddy is a Cure for Colds! Cold weather is here and with winter comes the inevitable – flu and cold season. Thus, we went in search of a possible aid to fight off the unpleasant and time wasting effects of being sick. Our discovery? Well, we thought a Hot Toddy was a reasonable answer. It might not be a complete cure, but it truly does have scientifically proven benefits. Enjoy the video below! In addition to eating healthier, exercising more and getting more sleep, many people resolve to travel more at the dawn of a new year. Travel is much more than leaving one’s home. It’s about setting habits aside, escaping comfort zones and trying something different – and doing so in a different location. In its latest World Tourism Barometer, the United Nations World Tourism Organization found that 1.184 billion tourists traveled outside their countries’ borders for at least one night in 2016. Europe, Asia, the Pacific, and the Americas all recorded around a 5 percent increase in international arrivals that year. Europe was particularly popular, perhaps hedged by a weaker euro against the American dollar and other currencies. The U.S. Travel Association says that direct spending by resident and international travelers in America averaged $2.7 billion a day. Millennials may be leading the travel-enamored pack. 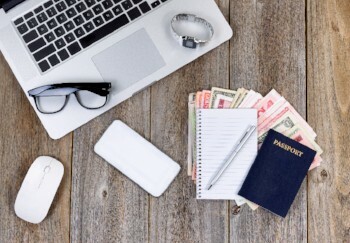 The United Nations estimates that 20 percent of all international tourists, or nearly 200 million travelers, are young people, and that the millennial demographic generates more than $180 billion in annual tourism revenue. The U.N. also reports that millennials are more interested than older generations in traveling abroad as much as possible. Infrequent travelers or those who have never traveled may not understand why heading to parts unknown is so appealing to so many people. The following are just a handful of reasons why travel is so enticing. Staying mentally active over the course of a lifetime promotes long-term health. Navigating unfamiliar places or reading a foreign language while sitting in an international country can engage the brain and get synapses firing. The Mayo Clinic reports that higher cognitive activity endows the brain with a greater ability to fend off brain pathologies, such as disease and dementias. 2. Connect with new people. Travel opens a person up to not only new experiences, but also new people. English poet John Donne penned the famous line, “No man is an island,” which underscores the importance of having friends and making new acquaintances. Research conducted by the University of Michigan found the act of talking with people in a friendly way can improve a person’s memory, suppress external and internal distractions, and encourage people to see things from another person’s perspective. It doesn’t hurt to broaden one’s social network, either. Leaving one’s comfort zone can be a great way to bolster one’s self-esteem. Navigating cultural boundaries and overcoming those boundaries may be initially intimidating, but doing so can make a person more confident and more adaptable to change. Until a person visits a place in person, he or she only has third-party information to form opinions. Visiting a city or country for the first time can offer a more complete perspective. It is our mission to save you both time and money when it comes to implementing a successful cross-border strategy as well as make a Swiss Trust Company acquisition possible for you within the shortest possible period of time. Offering more than 25 years of hands-on personal experience, the management of Corb7 International has guided more clients to successful endeavors with Swiss Trust Companies than any other alternative source. This operational and management experience has allowed Jeffrey Corbett to develop a keen understanding for how international businesses can get bloated with redundancies or inefficient networks resulting in the loss of both time and money. To that end, the Corb7 Strategic Development Solution was created by him. This in-depth approach allows an entrepreneur to retool achieving a sleeker, smoother and more strategically focused organization. An advocate for bringing critical functions in-house, his clients range from small to mid-cap international concerns that can appreciate the additional control and cost reductions. New Business Opportunity for Sale! 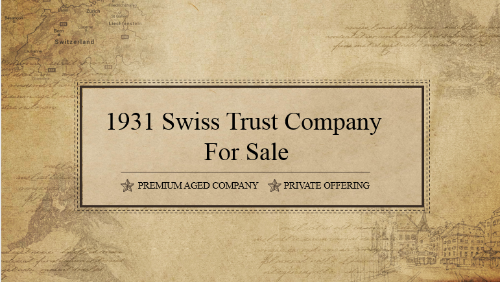 1975 Swiss Trust Company for Sale! Stay Informed! Get the latest news and updates from Corb7 International. & Lifestyle Strategies for International Entrepreneurs. Please enter email address to proceed. Have a question or inquiry? Please feel free to contact us.